Bishop Family Dinner. Serving family tension with a side of absentee mother. I don’t know about you, but Siren couldn’t come back at a more perfect time for me. While it’s dreary and freezing here in the Midwest, watching a show like Siren that’s set by the ocean, is helping me stay warm in a way. Yes, half the time the episode was just as dark and dreary as it is here in Chicago, but mermaids will always remind me of summer. 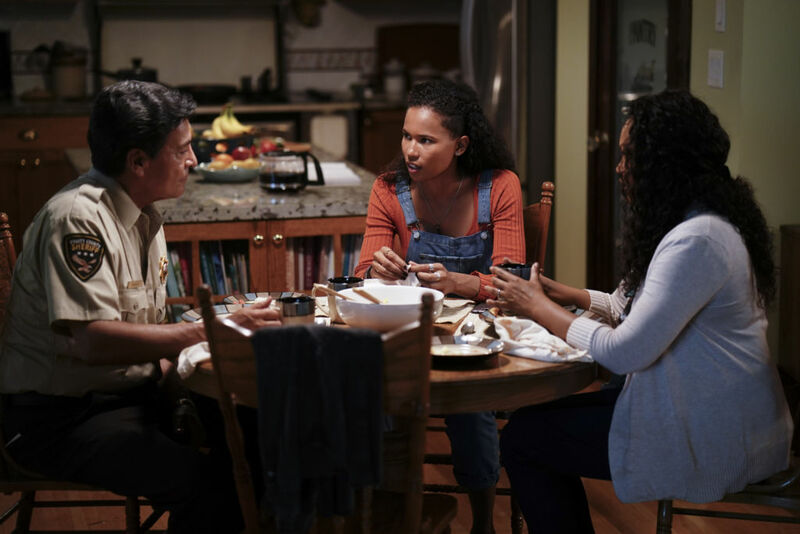 The perfectly titled season opener, “The Arrival,” kicks off the proposed threats and relationships of the season. And yes, I’m including Maddie’s Mom, Susan, in that. We finally saw Susan Bishop and to be quite honest, I don’t know what to make of her just yet. Maddie’s Mom has been mentioned since the very beginning and was one of the aspects I was most interested in seeing. In fact, I just now realized a parallel between this premiere and the pilot: when Susan makes dinner for the family and everything is tension-filled and awkward, versus the pilot when Maddie mentions it’s been months since Mom’s been there and a place at the table is not needed for her. 1) I think Maddie still feels that way. 2) Great use of displaying how much Maddie’s family has changed and differed since then! I personally really hope we learn more about Susan Bishop as this season goes on. Why did she return to Bristol Cove? What was her relationship with Maddie like prior to? Where even was she while she was out of town? I think it was mentioned more in interviews than on the show that Susan was an addict. Will she up and leave again just as Maddie’s warming up to her again? Please no! Either way, I’m very much looking forward to getting to know Susan and I welcome Garcelle with open arms! (And that mermaid theory is still on the table for me, FYI). 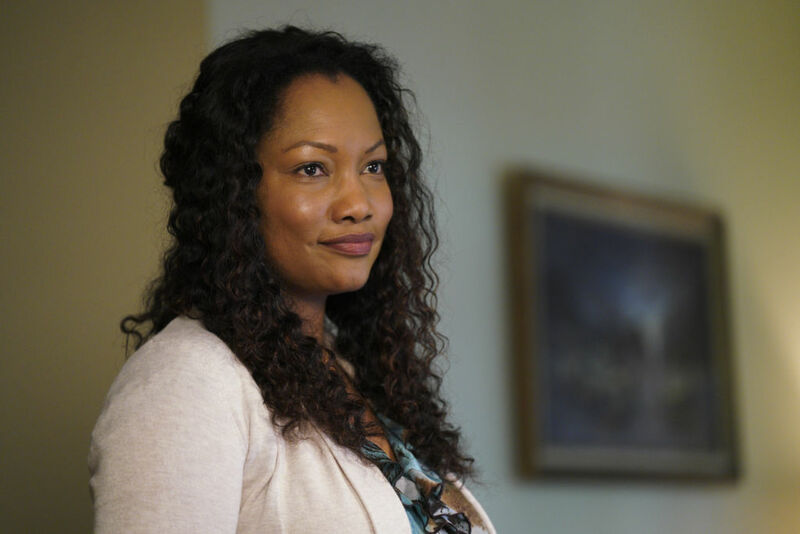 Welcome Garcelle Beauvais to the show! Additional newcomers that found their way to Bristol Cove were heaps of merpeople that were practically forced out of the ocean due to the newly created oil company that’s wreaking havoc on the ocean. First the military in season 1, now the oil company? Please preserve the ocean and its marine life, don’t harm it! But villainous motives aside, I think this ends up creating more awareness for everyone in Bristol Cove (I’m sure this will affect Xander’s fishing and Ben’s Dad’s seafood company, too) of the ocean’s current state, and us viewers, too! What I love that Siren is doing is they’re taking current world topics and issues and relating them to the show. It really makes everything that much more impactful. Take the merfolk that’re new residents in Bristol Cove: they were forced to come on land due to their suddenly unsafe ocean; some didn’t even arrive alive on land (which further reiterates that changing from merfolk to human is no easy task)! With one of these merfolk refugees being the former leader of the pack, another being Donna’s daughter (this needs to be explained! ), and the merman that killed Xander’s Dad, all of this pent up emotion is sure to burst. I would say everyone just needs to get together in a room and share their opinions, but I think the merfolk aren’t really up for small talk. Will Nicole end up being friend or foe? Lastly, a potential love interest for Xander strolled into town by the name of Nicole, but is she friend or foe? It seems to me the military is trying to make a reappearance and possibly pick up where Decker left off. With this in mind, I’m curious to figure out who is the true villain this time around. Are the military and oil company one entity? Because I’m sorry, I’m not calling the merpeople the enemy because they’re the species that are dying off and being hunted. 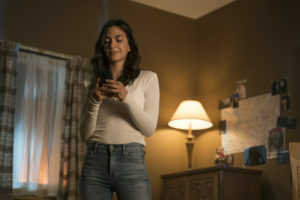 So, what did everyone think of Siren‘s season 2 premiere? Also, heads up: each week, I’m going to be live-tweeting while watching each episode over at our brand new Twitter account, @LTWithAnAccent. Feel free to follow us and join me! Siren, 2.02: “The Wolf at the Door” airs next Thursday at 8/7c on Freeform. The promo can be viewed below. “I’m not sure what to do when the relationship is the addiction.” This line alone (and first 5 seconds of the promo) has me hooked and so incredibly excited to see where Siren takes Ben, Ryn, and Maddie’s relationship. Ah!